Back when this cub chronicler began his journey, the February 2014 North American Winter Storm struck. Warm Valentine’s Day hearts awoke to 28″ of snow. Our country was somewhat unprepared. Smaller retailers had long since exhausted supplies of shovels and snow-melt. Home Depot, by chance or foresight∆ had just received pallets of new snow shovels. In their foyer, waiting for the lucky few, one could choose from three USA-made snow shovels. I opted for a “Good” and a “Better”. Both of these Ames True Temper® products have held up wonderfully, proving themselves yet again against Blizzard 2016. Not as severe, with only 22″+ inches, the 4′ drifts are a bit of a challenge. Yet the True Temper chews through the white stuff without a whimper. 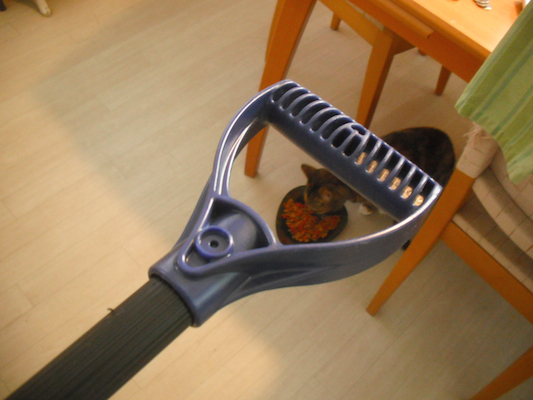 The second shovel selected in 2014 has the same handle but polymer body. The less expensive of the two, we find it handier with thick light snow. 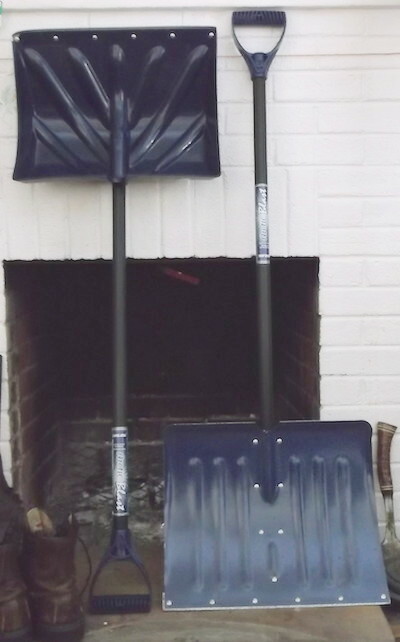 Today we salute the True Temper 18 Inch Poly Combo Snow Shovel with D-Grip ! ∆ Repeated requests for comment have been politely ignored. We shall never know if The Home Depot acquired their stock of snow shovels by chance or foresight. Regardless, we honorarily christen this company The Hope Depot, both for their contributions to the economy and because it is easier to type. This entry was posted in Product Review and tagged 18 Inch Poly Combo Snow Shovel with D-Grip, blizzard 2016, excellent snow shovel, griddlebones the cat, jserg photographer, USA made snow shovel.